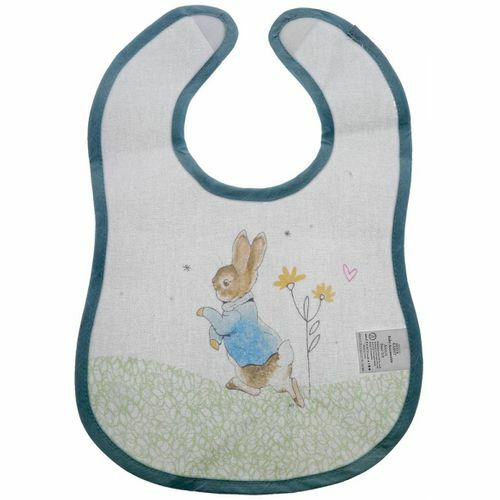 Make mealtimes super fun with this beautiful Flopsy Bib. 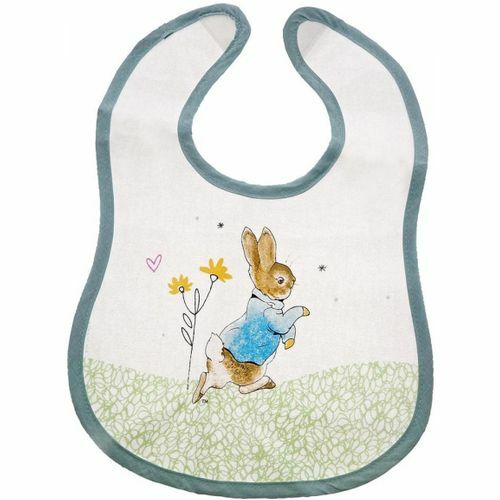 This is a fun and practical bib, has been perfectly detailed with original Flopsy illustrations, taken from the Beatrix Potter stories. This bib is not only easy to wear, but practical too with its wipeable coating. One size - Suitable from birth to 3 years.